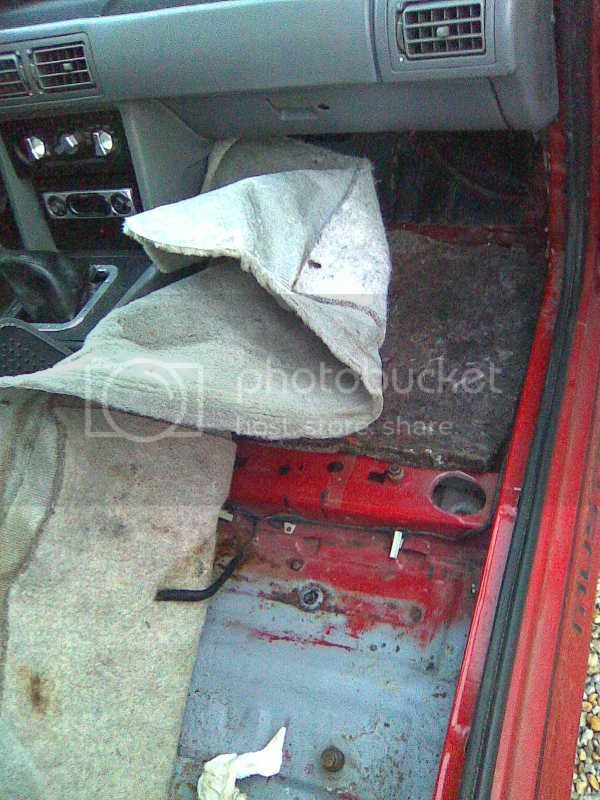 I have a 93 GT and I`ve been having some issues with the passenger side carpet getting soaked. Basically its usually directly under the seat and a little in the rear. I thought it was coming from the door seal, but its not the problem. 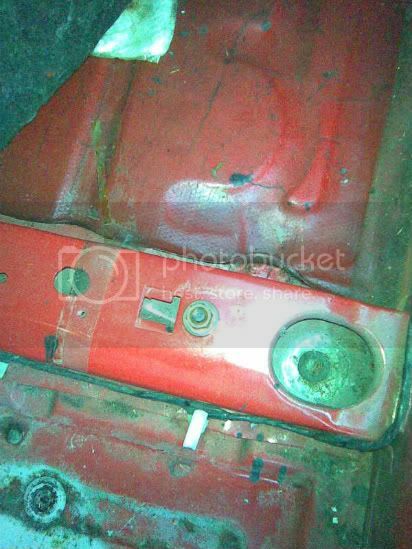 I`ve had the seat and door panel off for a couple of weeks and checked it in the rain, but can`t tell where its coming from. It has a new heater core and its not coolant, and I haven`t been running the A/C. The last time I checked, the A/C seemed to be draining properly anyway. The water is pooling directly under the seat, right where the drain grommet is behind the raised portion where the front of the seat mounts. 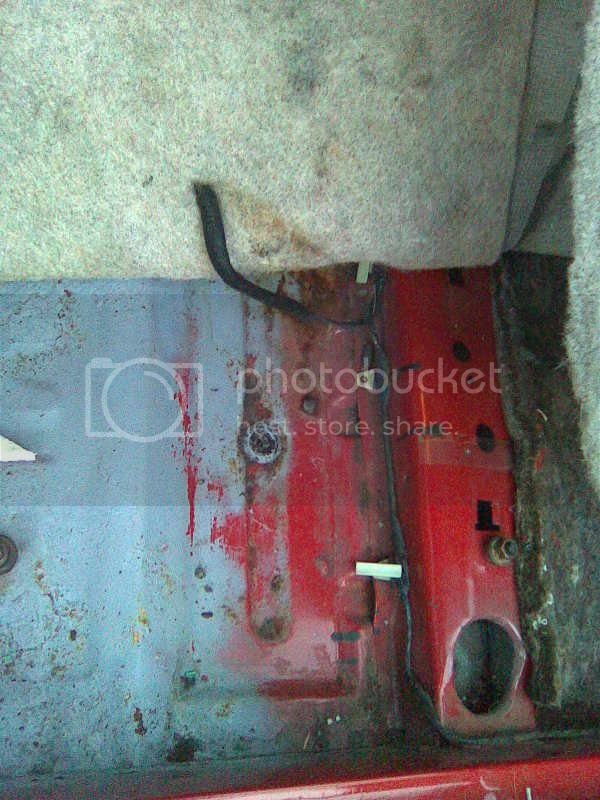 There are channels that end right past the raised portion (you can kind of see it next to the white plastic piece) and appear to run underneath the front floorboard. The padding in the front floorboard is a little damp, but nothing like the other. I think it may be soaking up what pools behind it. It isn`t wet around the A/C drain either. Any ideas?? Thanks in advance. Agreed. If you are sure it is NOT coolant, then that`s the only other option. Try some clear silicone in the bottom corner - those corners are the first thing to rot out and leak. I had this problem on my `66 too. Some things never change. Thanks guys. I`ll definitely give that a shot. My windshield was cracked so I just went ahead and had it replaced yesterday since the entire seal looked pretty bad. It hasn`t rained yet, but I sprayed around the windshield and I don`t see any water from that. However, I took off the cowl cover and sprayed inside there and water started dripping from the blower housing. It seems to only do it when water is sprayed directly into the vent tube in the cowl (the duct that is on the passenger`s side). Is it designed so water shouldn`t normally go in the duct, or is there supposed to be something else to prevent it from going into the blower housing? Since the water would drip right onto the carpet in the front, I don`t see this being my original problem but I want to make sure. Thanks again.